When we travel, often the only thing we’re thinking about is having fun, trying delicious foods, and relaxing as much as possible. As a result, exercising on vacation is almost impossible for tourists. To avoid returning home a few pounds heavier after visiting Cancun, you’re going to need willpower, a well-planned itinerary, and some information about the sports infrastructure in the city. 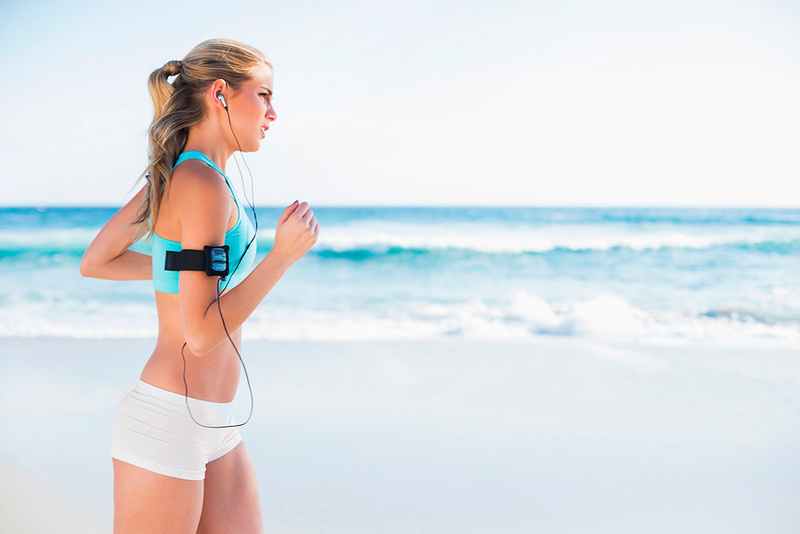 If you are staying in one of the beach resorts in Cancun, set your alarm the night before and wake up early to work out on the beach while appreciating the beauty of the Caribbean Sea. Running or jogging is not the only option; it’s also a great place to practice yoga rts infrastructure in the city. Alternatively, grab some friends for a game of soccer on the beach, or if you prefer, volleyball is another good idea. If you’re staying downtown, take one of the buses that say “Hoteles” and get off at any of the public beaches from Punta Cancun to El Mirador, which is where you’ll find the widest beaches. 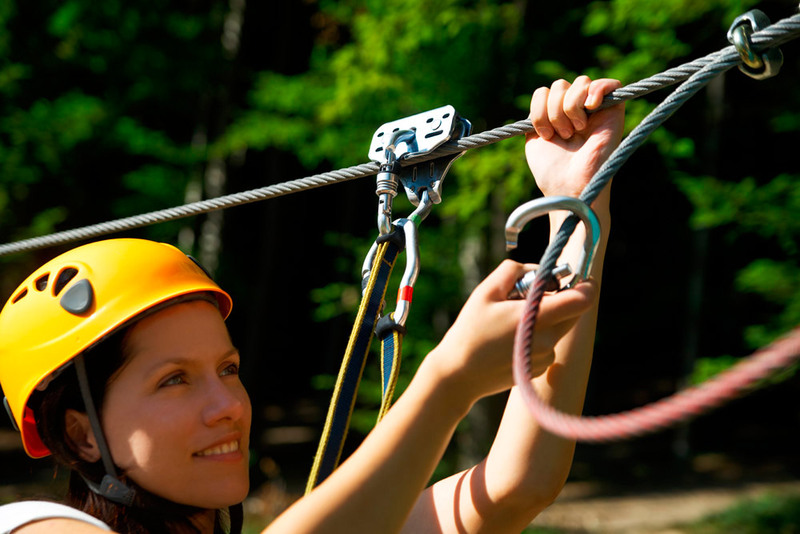 Hiking in the jungle, riding ziplines, and swimming in underground rivers are just some of the adventure tours in Cancun that will help you to stay active. Plus, the tours are so much fun and you’ll visit such beautiful places that you won’t even realize you’re exercising. The majority of large resorts and All Inclusive hotels in Cancun offer a fitness center. 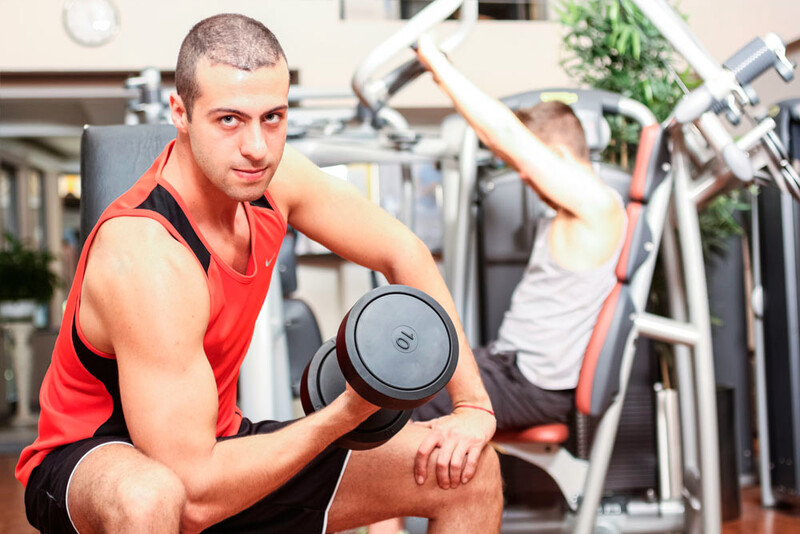 If you belong to a gym in your hometown, your trainer may be able to create a routine for you that you can do safely while traveling. The daily activities at family friendly hotels, such as dance lessons and water aerobics, are other excellent alternatives. There is a well-maintained bike path on Boulevard Kukulcan that extends through much of the Cancun Hotel Zone. It is very common to see people walking, jogging, rollerblading, or riding bikes in the early morning or after the sun goes down. At Kilometer 0, located at the entrance to the hotel zone, you’ll find an outdoor gym with exercise equipment and instructions for use. Playa Delfines, also called “El Mirador,” has similar equipment as well. The Cancun Hotel Zone consists of one long road called Boulevard Kukulcan. If you get a map of the city, it’s easy to find your hotel and the tourist attractions that you want to visit. All of the addresses are listed by kilometer, so you can measure the exact distance from one place to another. Plan the routes that you can walk and determine when it might be a good idea to take a bus or taxi from one of the easily identifiable stops. If you follow these recommendations and try not to overdo it at the buffet, you should have no problem staying in shape and maintaining a toned figure to show off during your beach vacation. Get motivated and stay active!